https://www.facebook.com/groups/299384137556561/District Governor, Lt Gen Kanit Jamjuntra acted as the official representative of Rotary while PDG Peera Farmpaiboon, PDG Juthatip Thamsiripong andd PDG Yuttakij Manakit expressed their welcome and congratulations messages. 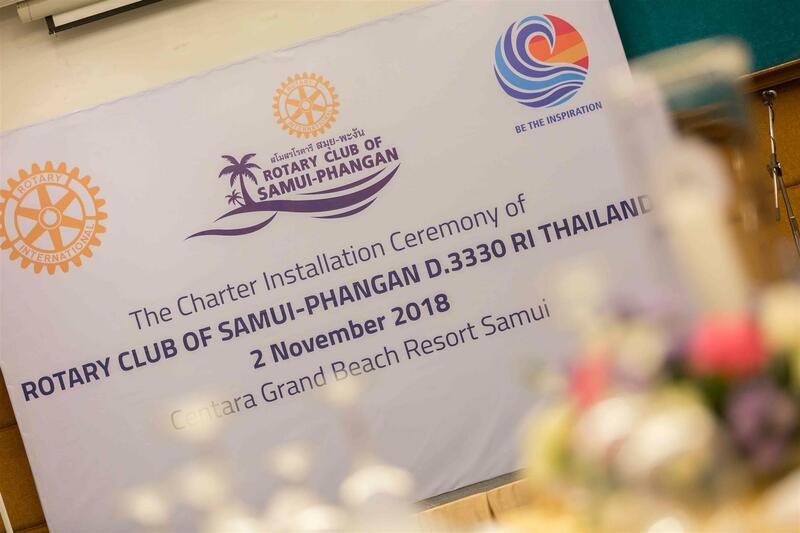 The Rotary Club of Patong Beach acted as sponsor for this club and a delegation of 10 members travelled to Samui to support the new club. At the same time we signed a sister club agreement.